Goldbroker was founded by French investor and entrepreneur Fabrice Drouin Ristori. He graduated from Kedge Business School in France in 2004 before moving to Malta to develop two companies specialized in the online gaming sector when the European gaming market was about to open. After selling both companies he started his own private investment company, FDR Capital Ltd, and quickly started to invest in physical gold and silver (2008). He specialized in analyzing the gold and silver markets and started to publish analysis. In April 2011 he decided to launch Goldbroker.com : a solution for investors to store precious metals in their own name without any exposure to intermediation risks. Gold storage companies already existed at the time but none offered direct storage without intermediation since most of them store on behalf of their clients. With Goldbroker.com, clients have a direct legal relationship with the storage company thus removing counterparty risk at the storage level. 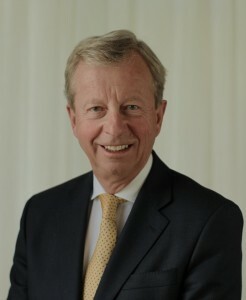 Well-known gold fund manager and founder of Matterhorn Asset Management, Egon von Greyerz joined the Board of directors and became a shareholder of Goldbroker.com Europe in 2012. Goldbroker.com then expanded rapidly on the European markets, with a 250% growth rate of its turnover in five years, before opening an office in New York in 2015. In 2016 Goldbroker.com acquired the domain name Or.fr to consolidate its position in the French-speaking markets. Goldbroker.com is one of the very few companies that offer direct storage of physical gold and silver. « "Direct storage" means that our clients have a storage account opened in their own name and that Goldbroker.com doesn't store for its clients. So there is no exposure to intermediation risks in terms of storage for our clients. A storage contract is signed in between our clients and the secured storage company we partnered with, Malca Amit. This proves that first our clients store in their name and second, that their identity is known by the storage company. » Fabrice Drouin Ristori. Today Goldbroker.com's clients may choose to store precious metals in Singapore, Zurich (Switzerland), New York (USA) and Toronto (Canada). Goldbroker.com has clients all over the world and provides Support in English, French, Italian and Spanish. Whether you are an individual, a company or an institutional investor, looking to take delivery of precious metals or to store them in a trustworthy, secure and insured facility, Goldbroker has a solution adapted to your needs. Our reputation has been built on our dedication in satisfying the needs of our clients. Our philosophy, since launching Goldbroker.com, has been to take advantage of what the Internet has to offer in terms of technology and communications, while maintaining a “back-to-basics” type of investment strategy. This means, a return to tangible assets, no virtual ownership, no intermediation between our clients and their gold, and no exposure to the technological failings of the “all-virtual” and “all-connected” world. Thus our platform is not connected directly to your physical assets; vault personnel are necessary for movement or operation, which eliminates the risks brought on by the “all-connected” world. So we developed a sophisticated online platform but made sure that our clients would own 100% of real tangible bars and coins, receive an ownership title edited in their own name, store directly in their own name, sign a contract with our storage partner and have a direct and personal access to the secured vault to check their holdings. This might be perceived as an "old school" way of investing at a time when everything is virtual, but with the amount of risk and leverage in the financial system we wanted to create for our clients, a "gold ownership service" that removed any exposure to intermediation risks. Goldbroker.com has been privately financed since its creation by the directors, who are thus directly responsible for managing the operations. Our clients' confidentiality and privacy are at the core of our business philosophy. Fabrice Drouin Ristori, a 37-year old French investor and entrepreneur, is the founder and CEO of Goldbroker.com. Fabrice Drouin Ristori holds a degree from the Kedge Business School (2004) and is the recipient of the 2003 Euro-Mediterranean Student Enterprise award. Anticipating that the online gaming sector in Europe would develop, he co-founded in Malta, when he was 27 (2006), two internet marketing companies serving the online gaming sector. Having started to invest in precious metals in 2008, he created Goldbroker.com in 2011, after having sold his companies. Goldbroker.com is an investment platform that allows individuals to own physical gold and silver in their own name and without any intermediation, stored securely outside of the banking system. Fabrice gained the trust of one of the most important physical gold funds manager in Switzerland, Egon von Greyerz, who joined Goldbroker.com’s board of directors in November, 2012. You will find his analyses of the precious metals markets on this page. Mr. von Greyerz forecasted the current problems in the world economy well over 10 years ago. In 2002 (when gold was $300/oz), MAM recommended its investors put 50% of their assets into physical gold stored outside the banking system. Starting out in Geneva as a banker, he went on to spend 17 years as Finance Director and Executive Vice-Chairman of Dixons Group Plc, an FTSE 100 company in the UK. Since the 1990s, Mr. von Greyerz has been actively involved with financial investment activities including Mergers and Acquisitions and Asset Allocation consultancy for private family funds. This led in 1998 to the creation of Matterhorn Asset Management, a company based on wealth preservation principles. The GoldSwitzerland Division was created to facilitate the buying and storage of physical gold and silver for private investors, companies, trusts and pension funds. Egon von Greyerz makes regular media appearances on CNBC, BBC and King World News, and speaks at investment conferences around the world. He also publishes articles on precious metals, the world economy and wealth preservation. * Egon Von Greyerz is a Board Member and shareholder of FDR Capital Ltd (Goldbroker Europe). We also provide education to the public about the current monetary/financial system, on why diversification is paramount, and on how precious metals should play an important role in safeguarding your wealth in today's changing world. Goldbroker.com’s editors are precious metals specialists, each bringing exclusive analyses (geo-political, geo-strategic, technical or economic) that bring big-picture understanding of all the factors contributing to the evolution of the markets. Our team, with its many years of experience, aims to give investors as much information as possible to help them in taking decisions independently and objectively in the precious metals sector. We also regularly publish interviews with fund managers and independent specialists and analysts to let our readers and our investing clients further their analyses of the precious metals markets.